Edgar Jones, MultiVerse Global executive in charge of the Space Coast Town Center in West Melbourne, announces plans to begin construction of the urban village’s first 600 luxury apartment residences. Located at the intersection of U.S.192 and the newly completed St. Johns Heritage Parkway just west of I-95, Space Coast Town Center will build 600 apartments in conjunction with JMG Realty and Integra Land Company, both experienced in the development and management of high-end multifamily properties. MULTIVERSE GLOBAL, LLC is a real estate company dedicated to accumulation of wealth through the talents and experience of its two founders, Edgar Jones and Bob Gorlow. MultiVerse invests in land and buildings that are large enough to make a difference in their neighborhoods; targeted towards the changing tastes of all demographic groups, especially millennials and baby-boomers; located such that there can be walkable elements in their communities; and benefit from an innovative and integrated mix of uses and the creation of delightful spaces. The MultiVerse team’s collective experience running offices for the Rockefeller Group, Prudential, Cushman and Wakefield, and Security Capital have led to successes that not only include the approval of American Dream Miami for Triple Five Worldwide, but projects from Palm Beach to Santa Fe. 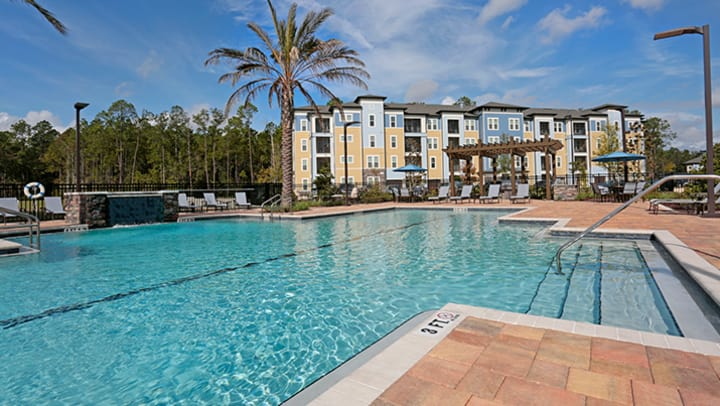 INTEGRA LAND COMPANY: Headquartered in Lake Mary, Florida, Integra specializes in identifying new sites for development as well as shaping bold and innovative designs into sound income producing resources. ILC is able to take overlooked multifamily housing opportunities, integrate traditional multifamily principals and create innovative results. JMG REALTY: Headquartered in Atlanta, Georgia, JMG Realty, Inc., is a fully-disciplined real estate company, concentrating in the redevelopment and new construction, financial services, and management of multifamily real estate properties for both private and institutional owners. The firm currently manages over $5 billion in assets comprised of over 30,000 units in both existing and new development properties across the United States. W.H. Benson & Company: MultiVerse Global, LLC was represented by Michael Seltzer with Keller Williams/Elite Properties and William H. Benson, MAI, CCIM, President of W.H. Benson & Company. W.H. Benson & Company was founded in Melbourne in 1985 to provide reliable real estate valuation and consulting including acquisition/disposition advisory services and feasibility analyses.